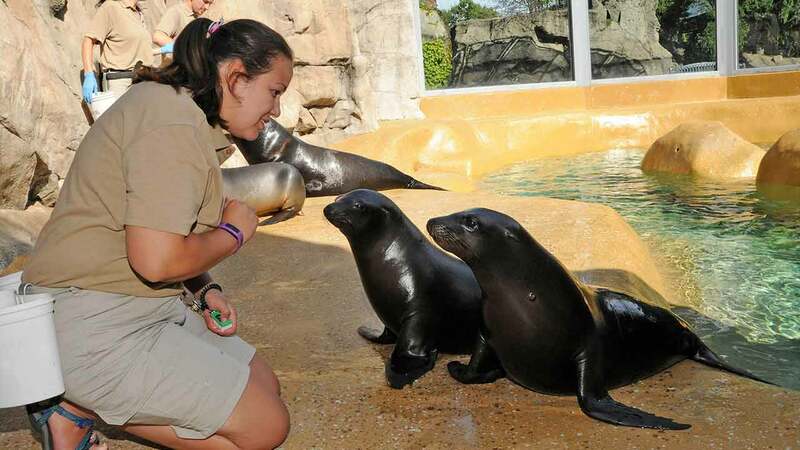 BROOKFIELD, Ill. -- A pair of rescued sea lion pups are now calling Brookfield Zoo home. A pair of rescued sea lion pups are now calling Brookfield Zoo home. Kanuk and Kodiak, who are both a year old, were found stranded on the California coast last year. Both were malnourished. After several failed attempts to release them back into the wild, the pair were moved to Brookfield in July. You can see both pups along with the rest of Brookfield's sea lions at the zoo's Pinniped Point Habitat.